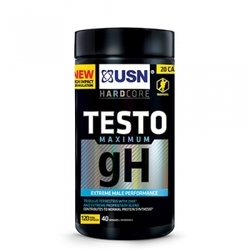 USN TESTO TRIBULUS is a dietary supplement containing a potent blend of non-hormonal testosterone boosters. 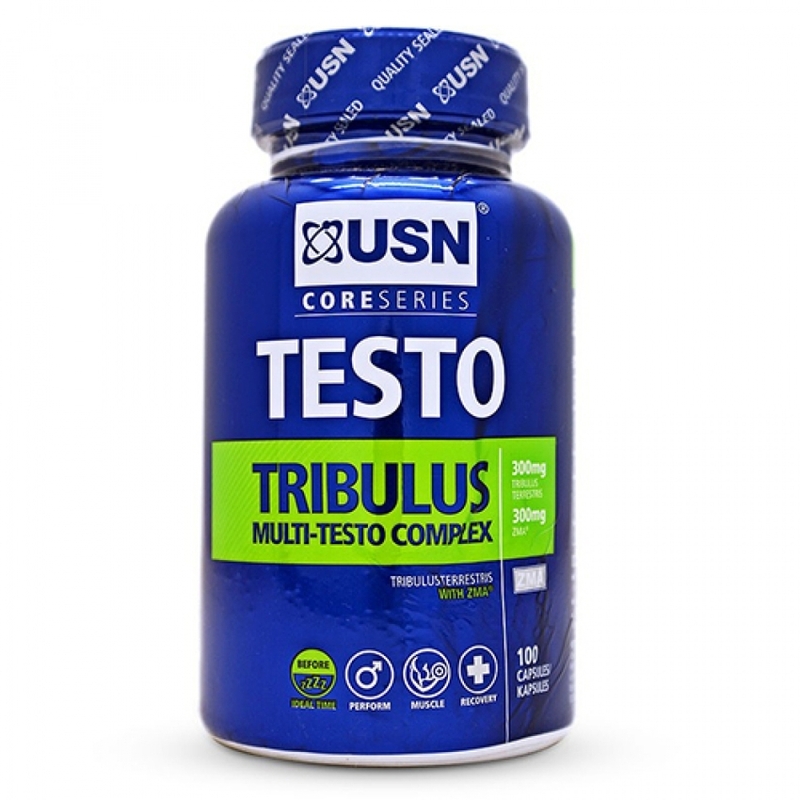 Tribulus Terrestris and specially the active protodioscin, has the ability to stimulate a response associated with an increase in the body’s natural endogenous testosterone and Luteinizing Hormone (LH) levels. With an increase in the body’s natural endogenous testerone level, it can help to alleviate some symptoms associated to male menopause, promote muscle growth and support a healthy libido level. Deficiencies in Zinc and Magnesium are common in athletes, resulting in reduced testosterone levels, lack of performance, reduced recovery, cramps and fatigue. Studies have shown that ZMA may increase the production of anabolic hormone levels, and therefore result in an increase in muscle strength and endurance. TESTO TRIBULUS also promotes quality sleep at night, and increases energy availability during the day. Usage instructions: Best taken at bedtime. During high intensity training an additional serving can be taken before training. The dosage can vary between 2 and 7 capsules per day depending on the intensity of training.